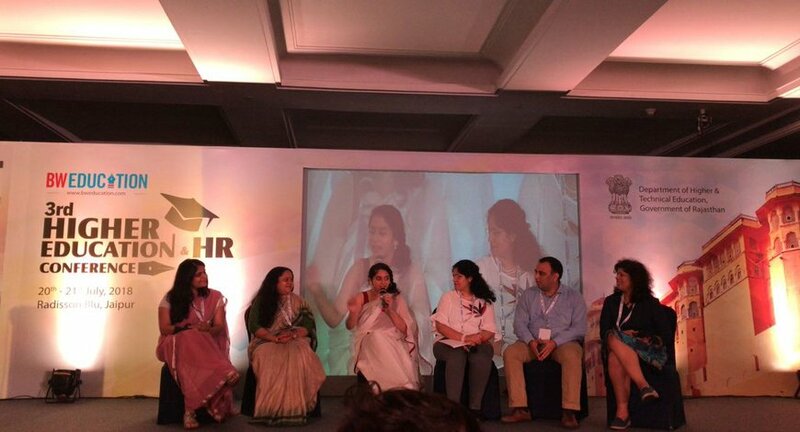 On 3rd Higher Education & HR Conclave by BW People the discussion on gender discrimination began with the survey of Forbes where top 100 highest paid athletes list could be easily renamed as the "highest paid male athletes in the world". There was not even a single woman on the list. The absence of women is nothing but a black mirror to the problem of gender discrimination at work. Or so if we choose to see it. It is high time to address the elephant in the room. The panelist consisted of Shalu Manan, HR Head (Genpact) Jayati Roy, Director, HR (Barco electronic system) Jayendra Chaturvedi, HR Head (Paayas Milk) and Zoya Brar, Founder and Managing Director (CORE Diagnostics). The panel was moderated by Taniya Tikoo, Assistant Editor, BW People. Ms. Tikoo then spoke about her professional relationships by stating that “In my profession, I have to talk to men, and I have to build a relationship but not in the way that some of them might want. Building a professional relationship. Ms. Reddy then ended the discussion by raising a suggestion of proposing to all the HR to go through the articles on Gender and biology before making the policies.